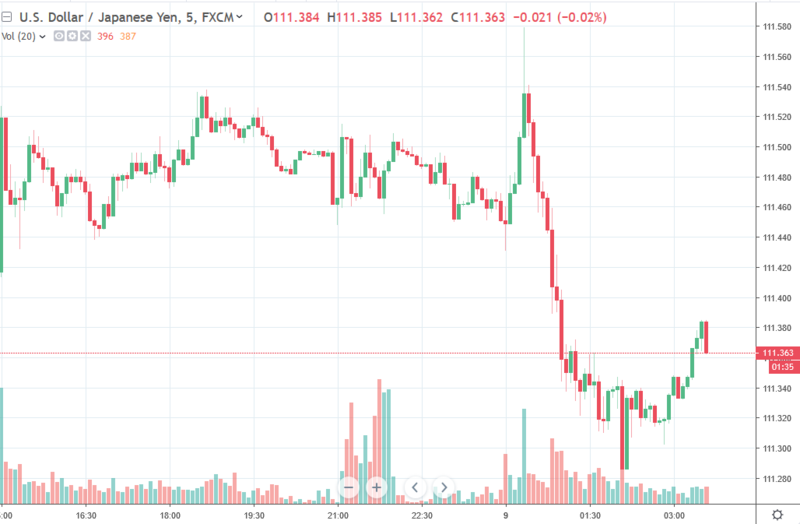 USD/JPY, and yen crosses, fell on the session here. USD/JPY from highs above 111.55 on a short-lived pop to lows under 111.30 briefly. News flow of impact (albeit in a small range) included further US trade tariff floated (this time on the EU), Japan extending sanctionson North Korea for another two years, a Japanese delegation to visit the US for trade talks (April 15-18). The AUD did little today, the data point of note was housing finance, which showed a small improvement m/m in the context of much lower y/y performance. Fresh news on Brexit was absent. We got confirmation that the parliament will require PM May request an extension - we knew this, but legal steps were completed. Confirmation also that the Cons/Labour talks will continue Tuesday. GBP has made a small gain for the session, from circa 1.3060 it got briefly above 1.3080. EUR/USD, USD/CAD, NZD/USD are all very little changed. Oil hit a five month high early but has since backed off a little.Regional equities were mixed.